Speakers arrived promptly and in good condition. These are replacements for a worn out vintage set and they fit perfectly and sound great. My 40 year old "stereo set" is now back in action. These are very nice speakers. I was surprised when I saw the brand name on the box, I figured they were just, some no-name thing. Put them in my Infinity SM122's. Had to trim a little bit, no biggie. They don't move as much air as the originals, when I put my hand to the port in the back, and don't quite have as much boom. But, they are a better, more sweeter, tighter, faster bass sounding speaker. I've had them for a couple of months, and run them everyday, and they do sound better as they break in. A very good replacement speaker. Rediscovered my vinyl record collection but my speakers after years of idleness, sounded a bit anemic. Upon removing the cabinet grille, I found the cones to be mostly dry rotted. I ordered and installed the replacements from Simply Speekers, and the units sound every bit as good as I remember. Very fast shipping, quality speakers and reasonable prices. Thank you! Used this as the woofer in an aging Pioneer speaker rebuild. Also used an A-1309 crossover, a T145 tweeter & a W-6028 as mid-range. The overall effect is a bit bass-heavy for classical music, but rock sound great. For classical the bass can be attenuated slightly giving a more balanced sound (tone controls). All-in-all very pleased with the rebuild. Speakers fit perfectly. The sound is great. Price was a big plus. Speakers arrived a couple of days after ordering. Following a previous reviewer, I replaced my defective Advent speaker with this model. It works perfectly and sounds great. As the other reviewer stated, it was somewhat of a challenge to fit the new speaker into the Advent enclosure (I needed a chisel), but it was worth the effort. Q: what is the watt capacity? A: These are rated for 150 watts RMS, 300 watts peak. 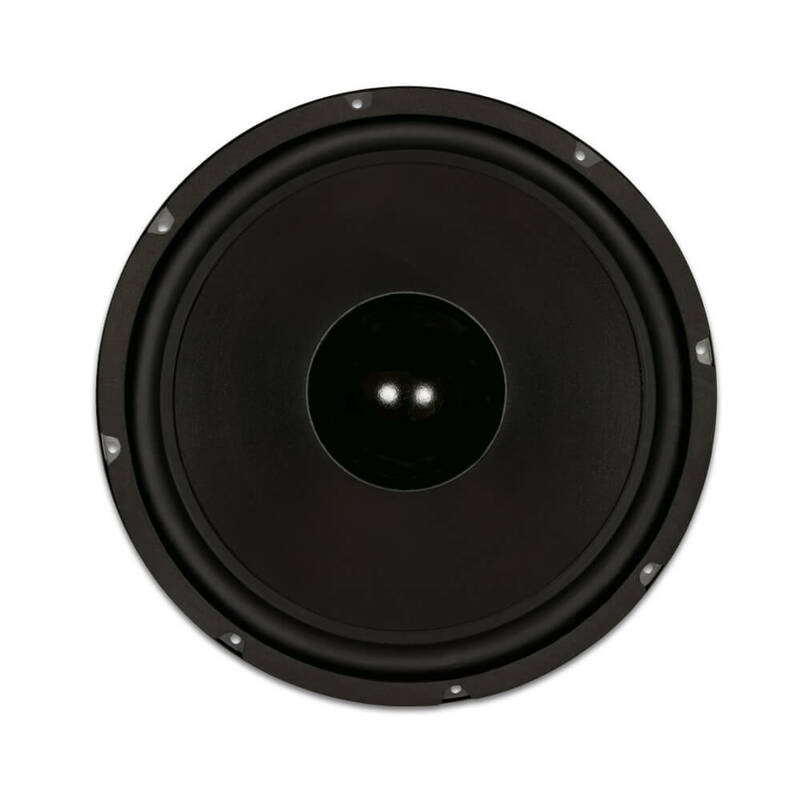 Q: What is the bolt circle diameter and the overall outside diameter of this speaker? Thank you. A: 11.5" center to center and 12" outside. Q: I am replacing the woofers in an old pair of Pioneer S-910 speakers. The hole cutout is exactly 11 inches, will these work for me? A: Yes, these will fit an 11" hole cut-out but you may need to re-drill the mounting holes in the cabinet. Due to the unique design of the Pioneer S-910 woofer, we normally recommend the refoaming kit part # PIO-FSK-12Ji. 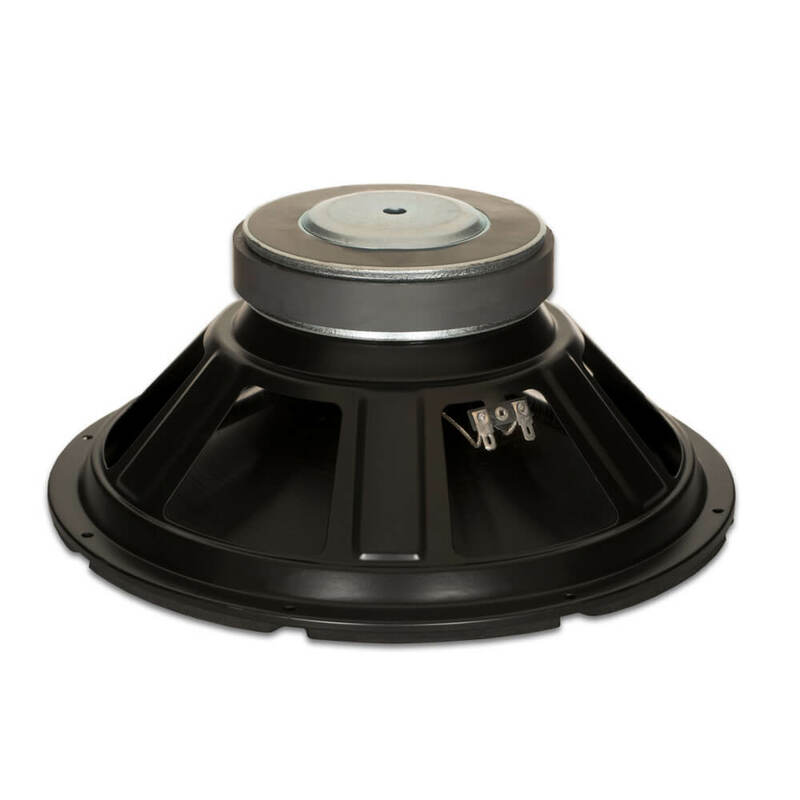 Q: Will this speaker fix a Altec Lansing model 5 cabinet speaker? A: We have not used this woofer for your model. The original Altec Model 5 used a 10" woofer built into a 12" frame, so they were a bit of an odd-ball design. We recommend our easy to install Altec foam replacement kit for your repair. See our Altec parts page for 10" foam kits. Q: Will these fit infinity sm120's? A: Not without modification to your cabinet. The Infinity SM120 woofer is slightly smaller than a standard 12" woofer. You must cut the hole in the cabinet to 11" diameter for the new woofers to fit. Also, please order the 4 ohm version part # W-1244. The original Infinity woofers were rated at 4 ohms. The W-1244 sound great if you can do this modification. Q: Will this speaker work in an ev100s? 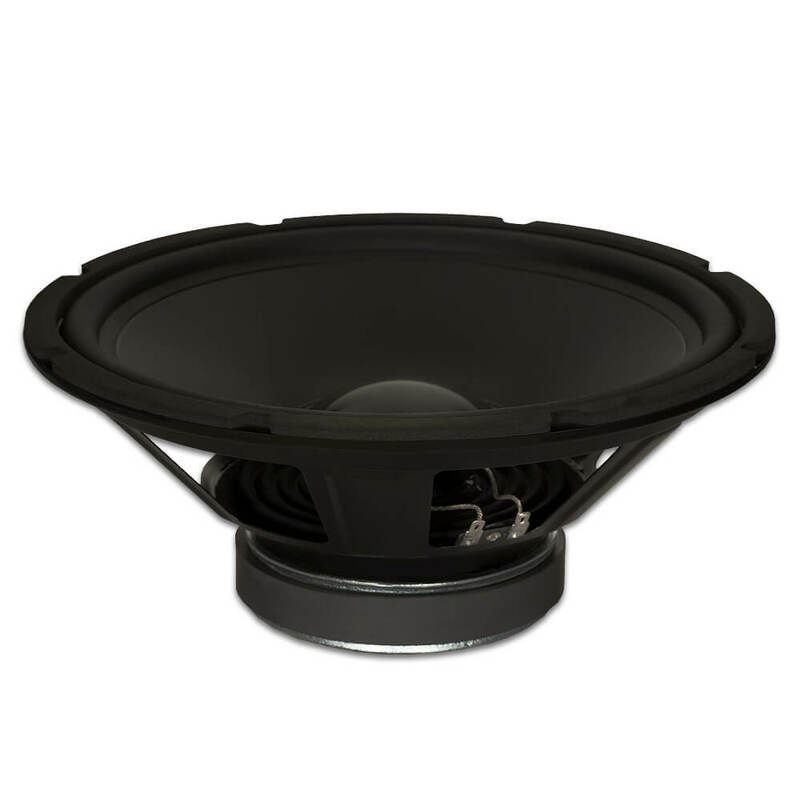 A: We recommend using the refoam or recone kit for the original EV 12" woofer. Your model uses a unique shallow frame design. Q: Will the 12" Woofer, Poly Mica Cone, 8 Ohm, W-1248 replace a circa 1975 Advent 'Loudspeaker ' 12"including mounting frame ? Q: I want to put these in my Infinity SM 120's - had the originals re coned a couple years ago - never sounded the same and they rattle . Are these the right choice? A: To use this woofer, you must cut the hole in the cabinet to 11" diameter. Otherwise, the new woofer will not fit. The original Infinity woofer used a 10.5" hole. If you can perform the modification, use the W-1244 woofers (4 ohm version). Q: I have a old set of infinity sm 120's and I need to replace the 12" woofer will this speaker fit in the original mounting hole? A: Sorry, no. You need an 11" hole to mount most any 12" woofers on the market today. You only have 10.5". You may want to consider keeping the originals by refoaming them with our repair kit part # INF-FSK-12A. Q: Will these fit 40yr old pioneer? It has horn tweeter, 2 regular tweets,2 5in tweeters and the 12in woofer. Cabinet is sealed so I guess that's called air suspension or acoustic suspension. A: This will depend on the model. Be sure to double check the original hole cut-out in the cabinet. You need an 11" hole for the new woofers to fit properly. Yes, a sealed cabinet is called "acoustic suspension".